Of course he can be found on various E-type cards. 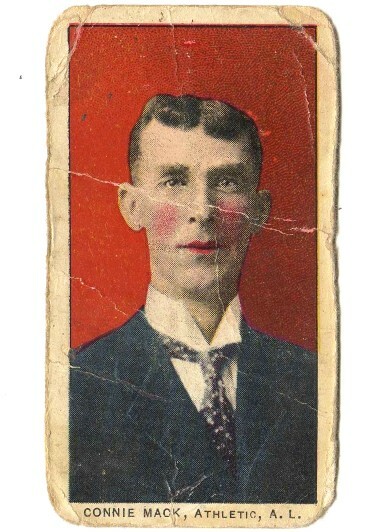 Connie Mack recruited most of his ballplayers at from College. He felt they had better training and they could think better than players from the farm system. Jack Coombs is a perfect example of Connie's recruiting style. Jack was a 4 sport (baseball, basketball, football and track) athlete at Colby College in Maine. was unimpressive. 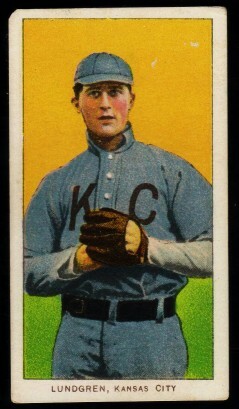 Then in 1910, Jack's W-L record was an amazing 31-9 with 1.30 ERA. Furthermore, he won 3 games in the World Series defeating the Cubs. tremendous year he had. I do not really understand why he is missing in the T206 set. Is that a record, what ? No Doubt Mr. Coombs had an impressive 3 Year Run! I'm Not Sure if it's the Record?, Mr. Walsh Certainly Holds Many! And Mr. Coombs Bested the Spitballer by 1.32 to 1.59 during their 3 Year Runs. So, my Hats Off to Mr. Coombs! 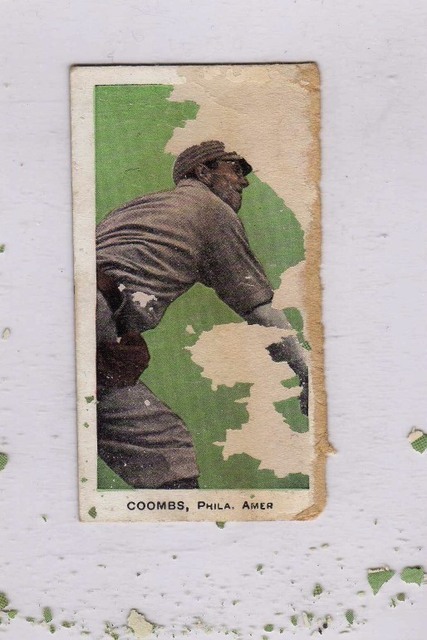 *And I Just Moved Mr. Coombs to the "Head of the Pack"
Of my "Who Should of Bin Included inta the T206 Set"!!! As Always Sir... Dankz fir the Education, "TRuLy!" Thanks for the information on "Big Ed". Walsh (as you well know) was amazing from 1907 - 1912.....168 Wins. That's an average of 24 Wins per season ! than from any other state in the country back then. Yes, for 3 consecutive seasons Jack Coombs was a tremendous pitcher. But your guy was tremendous for 7 consecutive years. My recollection is, that years ago, you and I came up with 3 print runs on the So. Lgrs. I've searched for this info in the Net54 archives, but I haven't any luck finding our discussion. Am I imagining this, or did we arrive at such a timeline in the printing of these 48 cards ? Heitman thought the 6 Texas Leaguers formed their own group but they have always been grouped with the other 8 non-Hindu SLers in my mind. 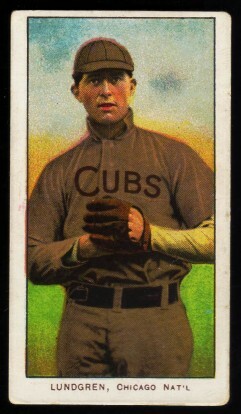 Cy Young won 97 games from 1891-93. Walter Johnson matched that from 1912-14. And Grover Cleveland Alexander came close with 94 from 1915-1917. While playing around with spreadsheet checklists for Polar Bears and Sovereigns, I came across something interesting that may or may not have been brought up in the past. The first part I'm sure everyone is aware of is that all Sovereign 150/350 cards do not exist with Polar Bear backs. The second part which I normally wouldn't think much into it but a magic number 55 comes into play. I combined the Sovereign and Polar Bear lists together. I then removed the Sovereign 150/350 cards. Then I removed the cards that shared Polar Bear and Sovereign backs. What I was left with was a list of Polar Bears that don't have Sovereign 350 & 460 counterparts, and a list of Sovereign 350's that don't have Polar Bear counterparts. Odd thing is that each list has 55 unique cards and the Sovereign's are all the Forest Green Backs. So, am I putting too much thought into this? What's everyone's thoughts that each list has 55 cards? All cards are from the Print Group 2 class except where noted. Sovereign 350 Forest Green Backs that don't have Polar Bear counterparts. Polar Bear Backs that don't have Sovereign 350 or 460 counterparts. Ron...one change for you - Lavender has both Polar Bear and Sovereign 350. Looking for most Cycle, EPDG, American Beauty or Tolstoi backs for Providence players. I did a similar analysis with POLAR BEAR vs 1910 COUPON (T213-1) Major League (48) subjects in 2008. 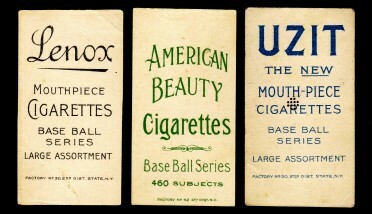 Shown here are the 48- Major League subjects in the 1910 COUPON set. 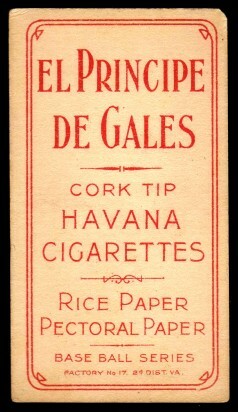 The 1910 COUPON cards were issued circa..Spring/Summer 1910. 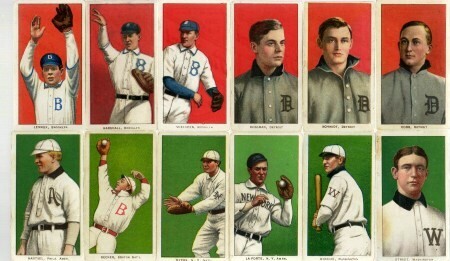 My theory.... is this group of 48 cards were printed from an early 350-only sheet of T206's. Of this group, 39 subjects are POLAR No-Prints. The nine printed POLAR BEAR cards from this group are listed below. Hey Rich, your right. So much for my 55/55 list. I guess that's what happens when I try to do T206 research 2:30 in the morning. I hate destroying the symmetry. We need to find one on the other side to make it 54/54. Ted Breitenstein is my favorite Southern Leaguer in the T206 set. Here's my Quadruplicate sub-set of Ted. OK guys, show us your whimsical (or whatever) sub-set(s) of Southern League cards. Last edited by tedzan; 07-13-2017 at 09:00 PM. Reason: Correct typo. 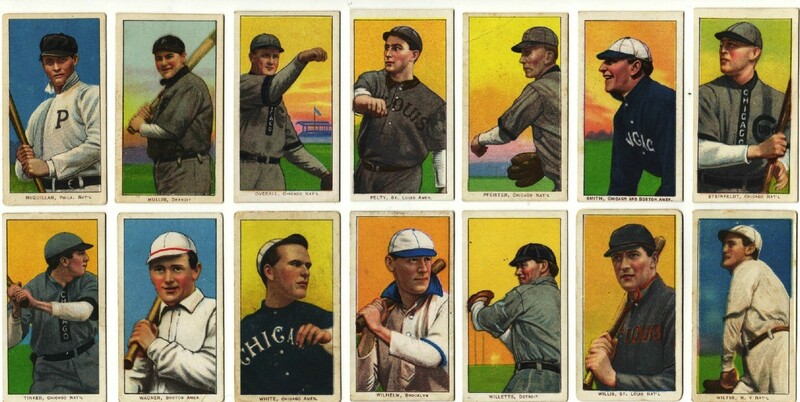 During the Summer of 1909, American Litho (ALC) printed SWEET CAPORAL 150 Factory #30 cards of many Major Leaguers and shipped them to Factory #30 in NYC. 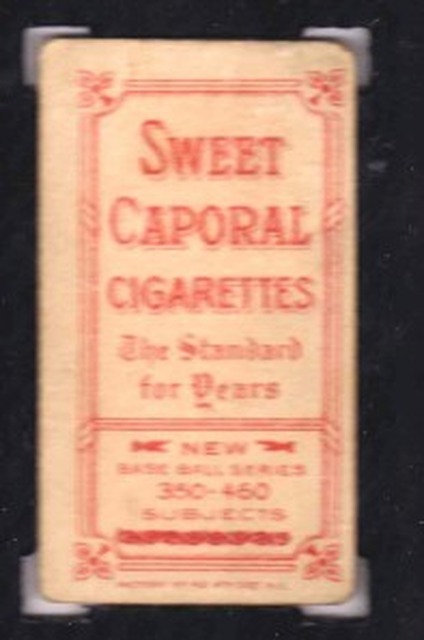 Factory (#649) producing HINDU cigarettes (also SWEET CAPORAL cigarettes). with the "Factory #649" overprint in order to ship them to this new factory. Last edited by tedzan; 03-26-2019 at 06:49 PM. Reason: Corrected typo. 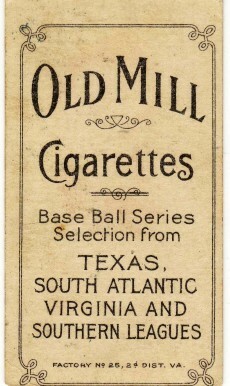 These Southern League brown OLD MILL cards are seldom seen....but if you have one, why not show it to us. Last edited by tedzan; 03-26-2019 at 07:03 PM. Reason: Corrected typo. Hey Ted, I need your help. In reviewing post #30 I noticed that you mentioned the close correlation between the Red Cross type-1 and the Pirate sets. 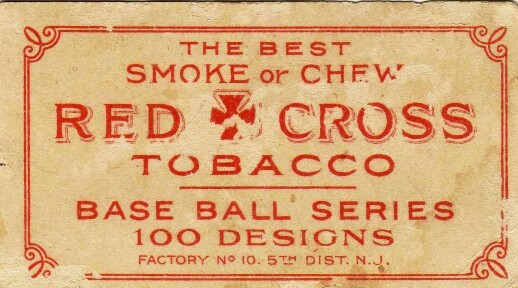 The Red Cross set features a Gabby Street card. I thought that that was a Street Catching pose. But the Pirate set features a Street portrait. Does that mean that the Red Cross Street card is also the portrait version? Last edited by Sean; 07-15-2017 at 12:32 AM. The T215-1 set includes both Gabby Street cards....Portrait and Catching. I don't have back scans but here are front scans of a Street Catching and Portrait. Thanks much for posting these two Street cards. It's not often that these T215-1 cards are seen. Excellent post! You may want to put the "index" at the start of the thread. Patrick, is that your Street catching? I only know of one, and it belongs to Richard Masson, so this would be a second example. Sean, they are not my cards just scans I had. of the T80 (Military Men) cards. Shown below, the T80 cards were printed with CAIRO MONOPOL, LENOX, OLD MILL, TOLSTOI, and UZIT backs. To date, 23 brown LENOX cards are confirmed. If my theory proves true, I predict that 13 (or 14) more T206 cards may eventually be discovered with the brown LENOX backs. a press run of T206 LENOX backs. Apparently, this mistake was caught quickly, which would explain why very few T206 brown LENOX examples exist. Instead of QA discarding these brown LENOX cards, the sheets were factory-cut, and these brown LENOX cards were shipped along with the black LENOX cards to Factory #30. 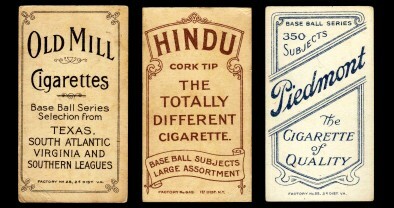 And, inserted into LENOX cigarette packs. The 6 brown LENOX cards from the 460-only series are from the same group of 9 subjects that are the only confirmed PIEDMONT 460 Factory #42 cards in this series. Let's see your brown LENOX cards. If you have these very rare "gems", why not show them. So, please post them here. Thanks for posting your brown LENOX. Will I see you in Chicago next week ? Not this year Ted. I was hoping to go, but it didn't work out. Maybe next year, definitely in 2019. Last edited by tedzan; 08-19-2017 at 03:38 PM. Reason: Correct typo. I want to thank Ted for this thread. I've been reading it over the last few evenings and will certainly be referencing it in the future. The amount of information in this thread and Scot's book just blow my mind. I'm an analytical guy. My occupation is a retail analyst. All of this information is an overload for me. Hopefully, some of it will eventually sink in. Collecting open-wheel/Indianapolis 500 related racing (attempting the T36 Auto Drivers set), T206 (all Scoops Carey & Woodie Thornton), 1955 All-American football and WVU related. As I mentioned before, there is so much info that I can't seem to get a good, solid grip on it all. One question I had is, on the SLers, are there factory variations as well as the three (or two) brand variations? Any info is greatly appreciated and thank you for sharing all of this information that you've put together! 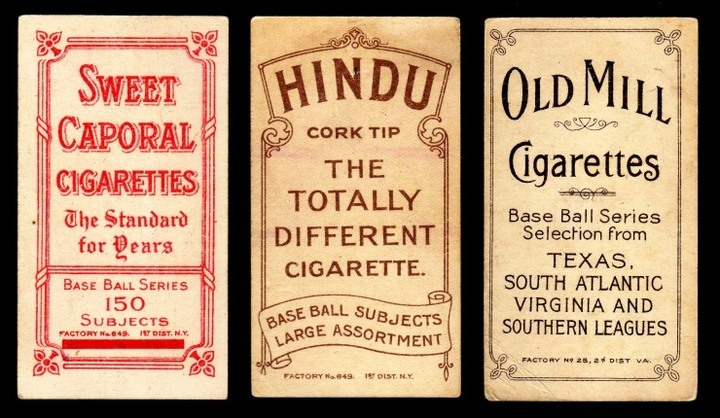 TheT206 set includes exactly 48 Southern League (SL) subjects....34 of which were printed with 3 different backs (brown HINDU, OLD MILL, and PIEDMONT 350). And, the other 14 of these cards were printed with just OLD MILL and PIEDMONT 350 backs. Stay tuned....additional info regarding these Southern Leaguer's will follow. Including the Brown OLD MILL backs of some of the SL cards. 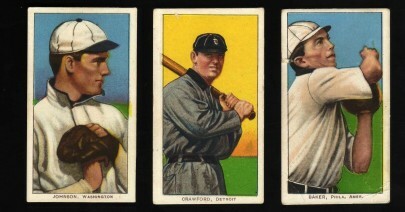 And, collecting the "Quadruplicate" sub-set of the twenty Southern Association cards. I appreciate your kind compliments. OLD MILL and PIEDMONT are Factory #25. Thank you so much, Ted. I'm working on the T36 set and in it, each card has a Hassan and Mecca back, and each of those has a Factory 30 and a Factory 649 back. Wasn't sure if that might be the case on these. As Ted says there are just the three brand/factory combos for southern leaguers. There is a footnote, however. 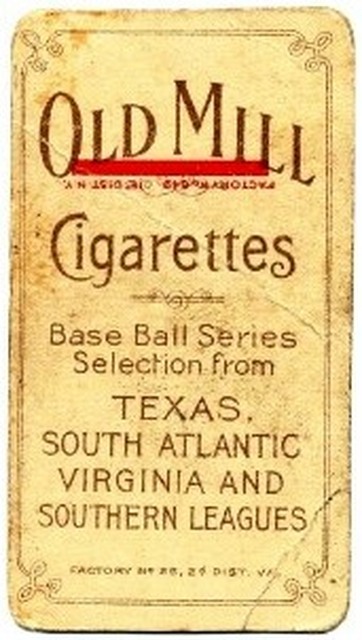 A handful of southern leaguer cards having the Old Mill Southern back were printed in brown ink. These cards are all hand-cut i.e. scrap. Moreover, a couple of these Brown Old Mill Southerns (Greminger comes to mind) weirdly have a red Factory 649 overstrike stamp on them. 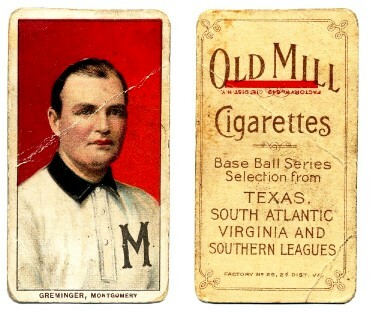 If you search the Net54 archives you will find an image of the "freak" Greminger Brown Old Mill Southern Factory 649 Overstrike card somewhere. Last edited by sreader3; 07-31-2017 at 08:21 PM. 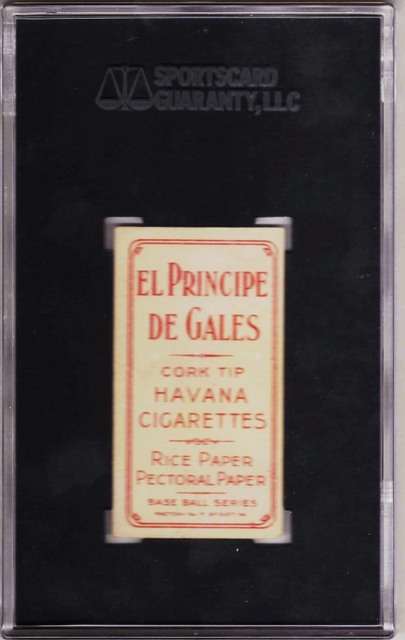 In a conversation with David Hall at the National talking T206's, one topic was regarding the recent find of the 350/460 cards with SWEET CAPORAL 460 Factory #30 backs. Very, very interesting, in that this sheet comprising of these 28 cards coincides exactly with my theory regarding the 28 subjects which I refer to as "Group B" (350/460 series). of the hand cut cards. But, Lajoie is on the list David sent me. So, I'll call him about this. Hey Ted, sorry to go off-topic, but I have a timeline question about T214s and T213s. I noticed that the Bresnahan appears as a T213 Type-2 with the Chicago Cubs. 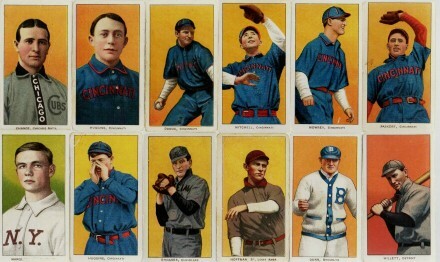 He appears as well with the Toledo team, presumably in a later print run of Type-2 Coupons. I've always read that these were printed in 1914. But the T214 Bresnahan, printed in 1915 still lists him with Chicago. 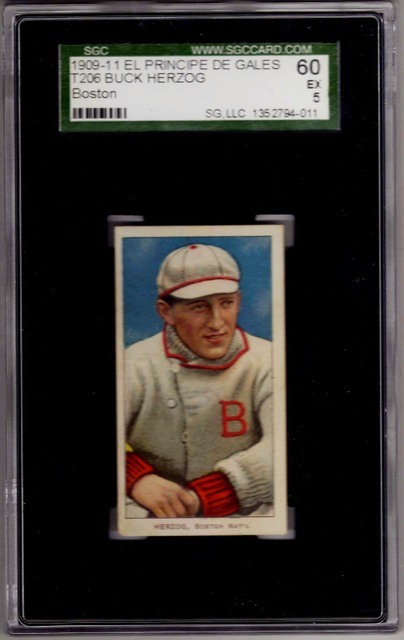 Then in 1919 the Coupon Type-3s also show Bresnahan with Toledo. Here's my understanding of the timeline regarding Bresnahan. In early 1916, Bresnahan purchased the Toledo Mud Hens (American Association). 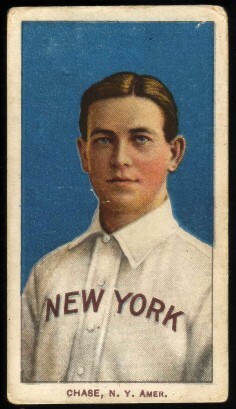 He played for Toledo until 1918. 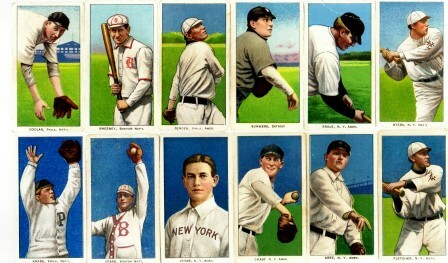 Therefore, I am not surprised that he is identified with Toledo on a T213-2 card (they were printed 1914 - 1916). And, of course captioned with Toledo on a T213-3 card (which were printed as late as 1919). Does this answer help ? Yes, that explains it. Bresnahan appears on a T213 Type-2 with Chicago in 1914. He then appears on the Victory, again with Chicago, printed in 1915. The Type-2 with Bresnahan on Toledo is then printed, apparently in 1916, followed by the Type-3, which was printed in 1919. I didn't realize that the Type-2s were printed as late as 1916. Thanks again Ted. David Hall has all 28 subjects on the list (in Post #181) with SWEET CAP 350-460 Factory #30 backs (which of course includes Lajoie). 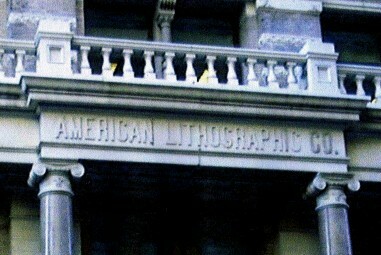 Perhaps, Lajoie was not in the original find; and, he acquired it from another source. No, it's not the case on the Southern League T206 cards. have both the Factory #30 and a Factory #649 backs. My experience in completing the T201 set (and still working on the T202 set) has been that the Factory #649 backs are more plentiful than the Factory #30 backs. Is this difference also true for your T36 cards ? The sample size of cards that I've been able to verify and analyze is very small. Sometimes I can't see the back scans to verify that aspect. 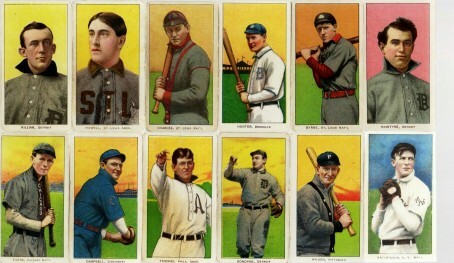 In the Huggins & Scott auction that ended this week, there was a complete set but only the fronts were pictured. What I've found so far is Mecca 30 backs being the most plentiful. The other three brand/factory combinations have similar numbers. I'm not confident this will hold up, as I've been looking into this for less than two years. Thanks again for your great, informative thread! 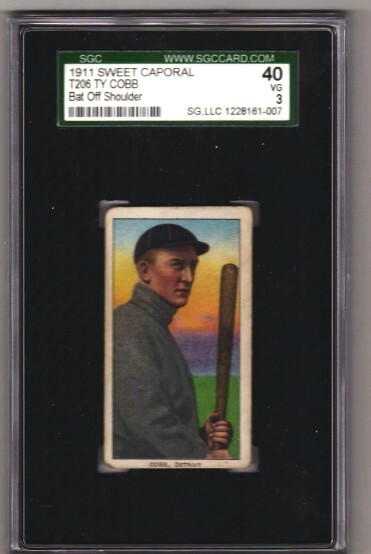 One of the early and very significant T206 thread was posted in June 2006 by Barry Arnold, titled T206 EPDG- - - how rare in your collection ? which you'll find very interesting and informative. 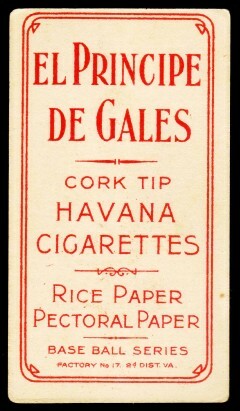 to Key West, Florida where he continued manufacturing EPDG cigars. 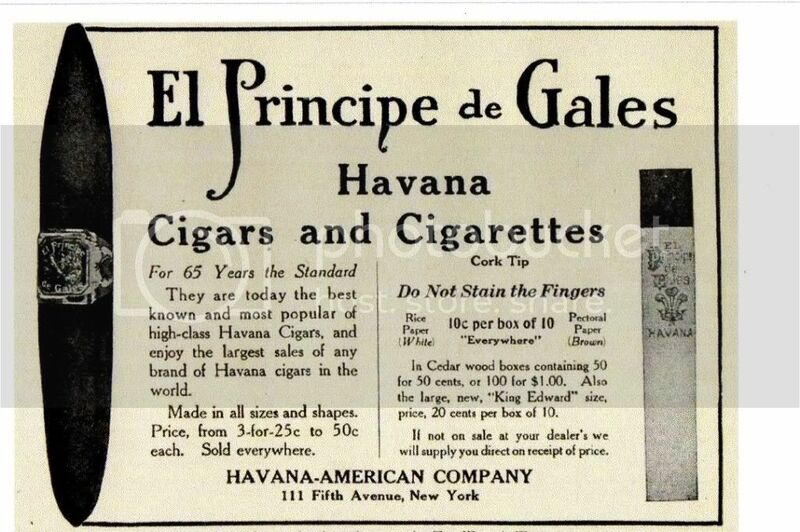 In 1885, he moved to Tampa, FL where he built a larger factory which produced his EPDG cigars. 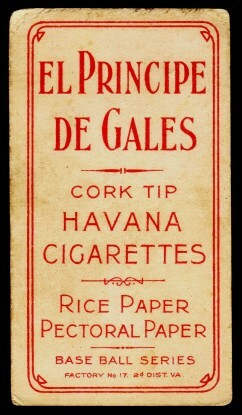 Note that the EPDG cigarettes were manufactured at Factory #17 in Virginia. If any one on this forum knows where this Factory was located, please chime in....Thanx. .... . . . . . .
To date, there are 284 confirmed T206 cards with the EPDG back.....they are listed here as a function of their respective T206 series. This survey is a work in progress....any new EPDG inputs from you guys are greatly appreciated. Last edited by tedzan; 09-21-2017 at 08:01 PM. Reason: Updated list. Thanks for putting this back on the map......I have a couple of edits for you. 1. Your 460-only Series says 37 subjects, but only 36 are listed. Harry Howell hands at waist is missing from your list. 2. Steinfeldt portrait is in the 150/350 series and you have him listed in both the 150/350 series and the 350/460 series. So I think your count for the 350/460 series should be 56 subjects, not 57. 3. So the total number of subjects from your list would be 284 instead of 285. Back to the players themselves. Of the 284 subjects from your list, all but 3 have graded examples in the SGC and PSA pop charts. They are Hunky Shaw, Jim Pastorius, and Ed Willett. For the rest of the subjects, they have a minimum of 3 graded examples. My first instinct is to say they don't exist, but I've been proven wrong in the past. I would love to see an example of these guys, so if anyone has one, lets see them! I'd also point out the uniqueness of the Elite 11 with EPDG backs which is a fun subject. After having collected EPDGs for the last few years, I would say they are not any tougher to find than a regular EPDG, with a few exceptions. As an example, I've owned 4 different Tom Jones EPDG cards. Knowing the difficulty finding these subjects with Piedmont 350 backs, I support a theory that the EPDGs were printed before the Piedmont 350's. Pat R, who is awesome, had a great thread about this using print defects in comparing 150/350 subjects. I haven't updated my collage in a while, but I'm sitting at 223 unique EPDG's at this point. Here's my first 214. 2nd....I left out Howell in the 460-only series list. Just a hasty typing mistake. This has been corrected. 3rd....There is a question regarding Kleinow (Boston). I have heard this combo exists; however, others say it is a No-Print. What say you ? 4th....I really like your array of EPDG cards, thanks for posting it. 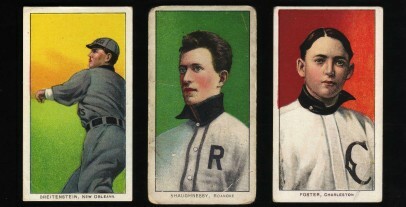 Pastorius, Shaw, and Willett are on my confirmed list (and also on t206 resource's list). My experience with collecting the Elite 11 regarding both their PIEDMONT 350 and EPDG backs varies all over the place. But, Lundgren (Cubs) is definitely a "toughie" with PIEDMONT 350 and EPDG backs. 1....My 460-only list is correct with 37 subjects. I inadvertently omitted Howell. He is included in this list. 2....Steinfeldt (portrait) in the 350/460 series list was a typo error, which I have removed. It should have been Steinfeldt (bat). This has been corrected. Therefore, 57 subjects are correct if you accept Kleinow (Boston) as valid. I have some doubts that this subject exists with an EPDG back. So, I am asking you again....if you know that this front/back combo exists ? ? I forgot that you have Kleinow Boston in the 350/460 batch due to the Drum 350 find. That was throwing me for a loop in this. In the simplest terms, I find it unlikely due to the lack of proof that any have been seen or graded. I know that sounds weak but that's the only true real evidence we can go with. Do we have an idea of when the 460 print runs occurred or the order in which they occurred? If the EPDG print run was early, I could see a scenario where it's possible.....namely the intent to keep the Kleinow NY catching as part of the 460 and then switch over to Boston when the trade occurred, all while the EPDG were being printed for the 460's. Sovereign sheet)....circa Spring - Summer 1910. I have removed Red Kleinow (Boston) from my list. Therefore, the grand total (to date) of EPDG = 284 subjects. Last edited by tedzan; 08-11-2017 at 10:06 AM. Reason: Correct typo. 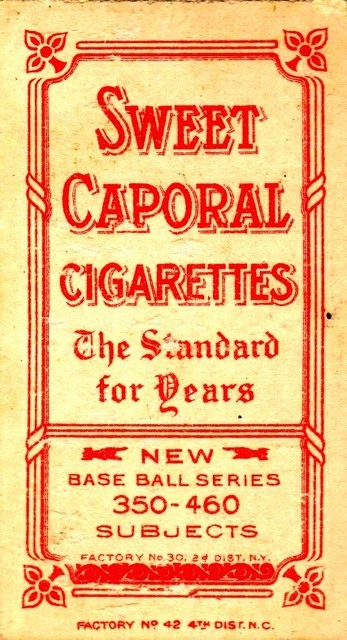 Anyhow, after ATC's divesture was resolved by the Federal Courts (circa..Summer 1911), and the "smoke had finally cleared", ATC had retained SWEET CAPORAL production. Therefore, all this "overprinting" of 109 -T206 subjects was really unnecessary. Listed below are the 109 subjects that were overprinted. and the cheap straight domestic brands. in the 18th century where "pall-mall" (a precursor to croquet) was played. 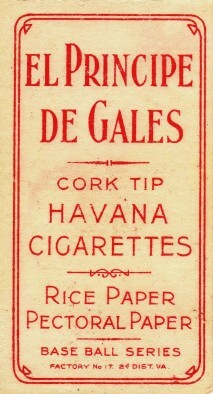 R. J. Reynolds received no cigarette line but was awarded 20 % of the plug trade. Last edited by tedzan; 08-20-2017 at 09:18 AM. Reason: Correct typo. Last edited by tedzan; 09-13-2017 at 10:23 PM. We have been on vacation visiting our Daughter and Grandson in Maine. I just noticed Turner's thread.... Georgia Find: 878 T205's and T206's. Thanks, Turner for posting this thread and all those great images. This is a significant find. It's the 4th discovery in the surrounding area of Atlanta of an original collection of T206's that include the rare T206's that we refer to as the Elite 11 cards. PIEDMONT cards; and, I was pleasantly surprised to find 8 of the Elite 11 cards in this group. 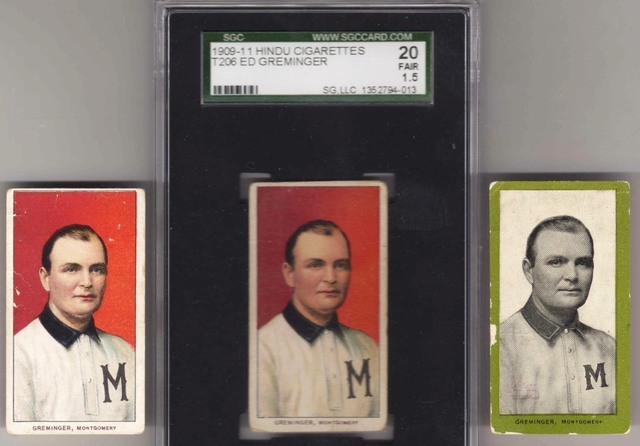 Very recently, another original collection of T206's (all PIEDMONT's) was discovered in the Atlanta area. And, this collection included 7 of the Elite 11 cards. I have been tracking these rare T206's since 2006, refer to this thread.... http://www.net54baseball.com/showthread.php?t=87180 for more info. also includes the Joe Doyle Nat'l card. 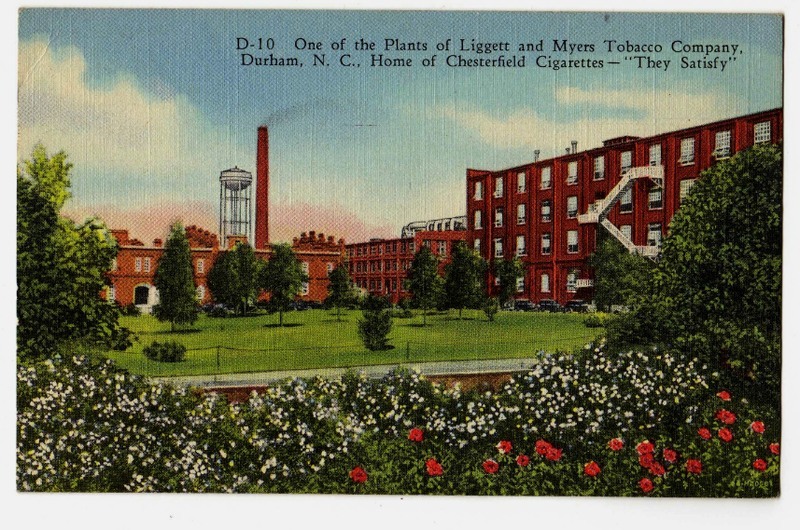 Russell lived in Winder, Georgia (not far from Atlanta), and he collected Tobacco cards as a teenager during 1909 - 1910.
with respect to the initial 350 press runs of PIEDMONT 350 and EPDG backs. Therefore, I have included Lundgren in with this group. Note The Schulte card has not yet been found with an EPDG back. I'm open to hearing of any other regions in the country where these Elite 11 cards have been discovered. Please chime in with your information. 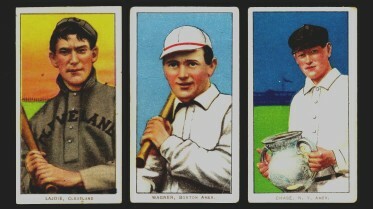 list for accuracy to include these three and the Lajoie that he has. Here is a front/back scan of the Lajoie Sweet Caporal 350-460 Factory 30 "No Print". I personally own this card along with the other 27 "No Print" cards. This 28 card "No Print" set follows Ted's "Group B" list exactly!! !